152-Stato della Chiesa . 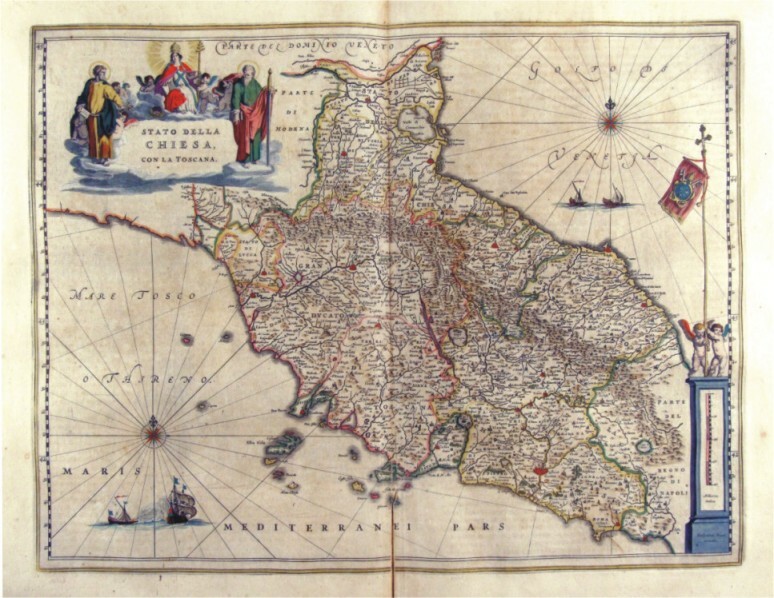 The Map of the Dukedom of Toscany and the Church States, from Romagna to Latium, showing a picture of sacred images surrounding the title and a metric scale residing in a boundary stone with two babies holding the Papal flag.This map measures 49,2 x 38 cm and is taken from the atlas Theatrum Orbis Terrarum sive Atlas Novus - pars tertia - Guilelmus et Ioannis Blaeu, printed in 1650 in the Blaeu family workshop in Amsterdam..
153-Stato della Chiesa . 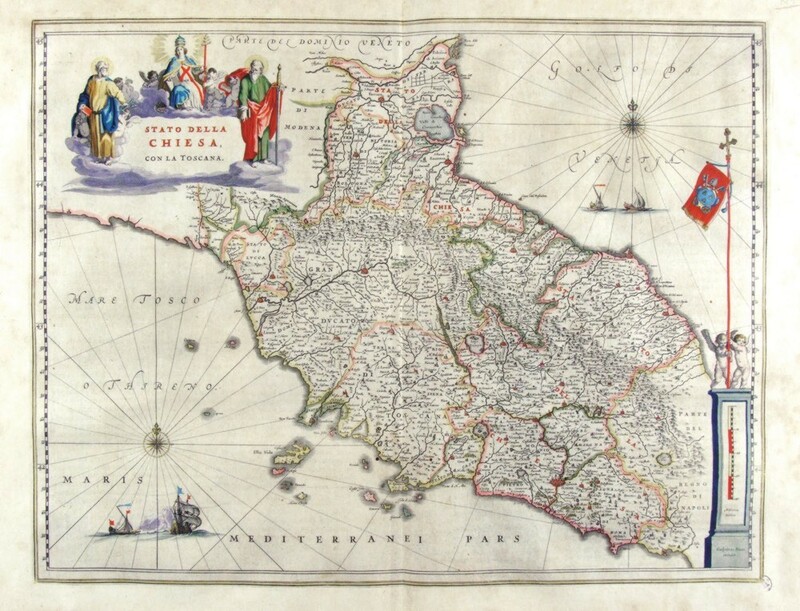 The Map belongs to the atlas Geographiae Blavianae volumen octavum Quo Italia quae est Europae Liber XVI di Blaeu, printed in 1592 in Amsterdam.